Give an experience, create memories! TicketsWest gift cards are perfect for the avid concert goer, theater buff, or sports fan in your life. 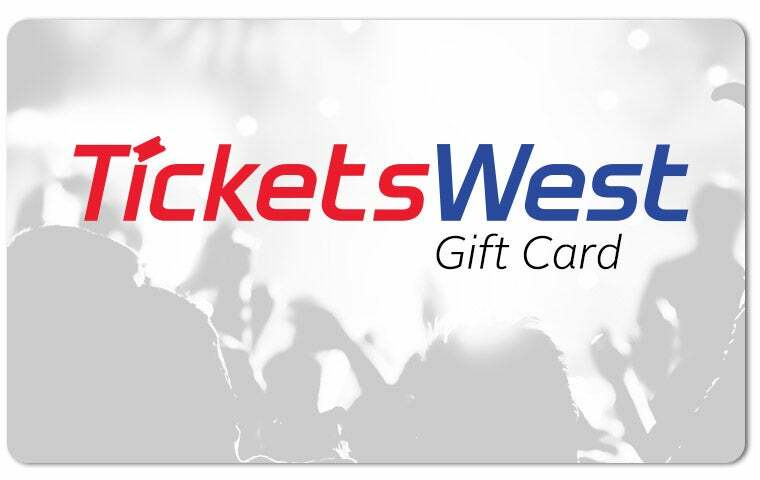 Our gift cards can be used on tickets purchased through ticketswest.com, over the phone, and at selected outlets. At this time, gift cards cannot be redeemed at Safeway, King Soopers, and City Market locations.